Low entry barrier and escalating number of revenue avenues are two of the most prominent attributes of the global microdisplays market, and the future seems prosperous. Currently, there are a few large and small vendors operating in the microdisplays market, focusing on new product launches, partnerships, and acquisitions to increment their customer base. For example, for head mounted wearable devices, eMagin Company recently introduced their ultra-high brightness direct patterned (DPD) full color microdisplay. In the near future, the market for microdisplays will continue to grain traction from a number of factors, such as emerging demand for HUDs, increasing use of microdisplays for military purposes, and shifting focus on reducing global aircraft accident rate. The automotive sector in particular, is paving way for compact and less expensive microdislays. On the other hand, high cost of production, technical issues, lack of a standard regulatory framework, design limitations, bulky nature of HUDs, and the need for high-quality sensors are some of the factors hindering the market from achieving its full potential. Nevertheless, the vendors of this market will continue to gain new opportunities due to several reasons. Some of the emerging trends of the global microdisplays market are growing popularity of microdisplays for different applications, introduction of next-generation microdisplay technologies, emerging demand from automotive industry, increasing safety concerns, introduction of innovative HUDs, and escalating demand for multipurpose helicopters. The report presents comprehensive analysis all of these factors and estimates their eventual impact over the market during the forecast period. 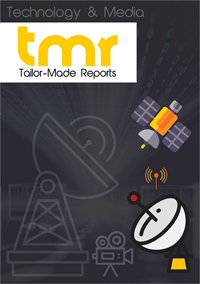 In order to provide a holistic market overview, the report covers aspects such as investment feasibility for the new entrants, competitive landscape, results obtained from supply chain and manufacturing cost analysis, and segmentation based on various parameters. Compiled to provide readers a better perspective of the global microdisplays market it also provides insights into the growth drivers and restraints impacting the market’s trajectory. The market is expected to significantly gain from the diverse applications of microdisplays across consumer electronics and defense and military industries. In these industries microdisplays are used in video phones camcorders, digital camera viewfinders, and others. Furthermore, with the increasing uptake of augmented reality, the use of microdisplays in devices such as HUDs and HMDs is projected to rise. On the flip side the high cost and delayed launch of microdisplay devices could lead to their lack of acceptance. Nevertheless with technological advancements, manufacturers must be able to address these concerns and cater to the dynamic consumer demand. The report predicts double-digit growth for the global microdisplays market. Among the key regional segments, the market is likely to witness the most lucrative prospects in Europe and North America. The growth of the consumer applications sector will bolster growth of the microdisplays market across these regions. Besides this, the demand for microdisplays will be seemingly high in China, South Korea, and Japan, giving thrust to the market in Asia Pacific. Based on application, the automotive industry is exhibiting high demand for microdisplays with head mounted displays. The technology is extensively used for prototyping a vehicle design in the automotive industry. This helps engineers with information such as the exact position of different vehicle parts. In addition, microdisplays are often integrated in the latest vehicle models to provide additional information with night visions to drivers. Other application of microdisplays are holograms, flight trainings, and data storage. To gauge the prevalent competitive trends the report also profiles some of the leading companies operating in the global microdisplays market. It therefore includes a detailed assessment of business strategies adopted by companies such as WiseChip Semiconductors, Universal Display Corp., AU Optronics, Kopin Corp., eMagin Corp., MicroOLED, Sony Mobile Display Corp., Microvision Inc., and Hana Microdisplay Technologies Inc.
An analysis into their strengths and weaknesses could provide major insights into the outcome of the latest business strategies. The information can prove indispensable for other market players. The report therefore conducts SWOT analysis on the companies profiled in the report. This analysis also presents insights into the threats and opportunities that these enterprises may witness over the course of the forecast period.